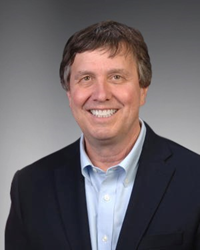 SPIE, the international society for optics and photonics, announced today that Kent Rochford will be the organization’s new CEO. A strong technical background in the field of optics paired with a long career in organizational management and advocacy of scientific research makes Dr. Rochford the ideal candidate to follow Eugene Arthurs, who will retire from SPIE on June 2. Most recently, Rochford, a longtime SPIE member, was associate director for Laboratory Programs at National Institute of Standards and Technology (NIST), providing direction and operational guidance for NIST’s scientific and technical laboratory programs with 2,800 staff and an $800M budget. In this role, he represented the full breadth of laboratory activity to domestic and international constituencies, collaborators, stakeholders, the U.S. Congress, and advisory boards. Rochford previously headed up NIST-Boulder Labs and the Communication Technology Laboratory (CTL) in Colorado, utilizing measurement science to assist first-responder communications and spectrum-sharing and advanced communications technologies, as well as supporting the National Advanced Spectrum and Communications Test Network. He has also served as chief of both the Quantum Electronics and Photonics and Optoelectronics Divisions at NIST, as well as acting director of the Electronics and Electrical Engineering Laboratory. This work provided measurement R&D and standards support for the optoelectronics and photonics industry, spanning communications, lasers, sensors, quantum optics, and materials. Rochford originally joined NIST in 1992 as a postdoctoral research associate, conducting research on measurements and standards for sensing and communication. Between 2000 and 2002, he managed the engineering department of a startup optical-communications company, working on components for high-performance communication systems. On his return to NIST, he led the Electronics and Electrical Engineering Laboratory Optoelectronics Division between 2003 and 2008. Rochford holds a PhD in optical sciences from the University of Arizona, a BS in electrical engineering from Arizona State University, and an MBA from the University of Colorado. Established more than 60 years ago as the Society of Photographic Instrumentation Engineers, SPIE has operated as the international society for optics and photonics since 2007 to reflect an active global constituency. In its sixty-three year history, SPIE has had four previous executive directors. (The title evolved into “CEO” in 2006): Henry Sander, 1967 to 1969; Joseph Yaver, 1969 to 1993; James Pearson, 1993 to 1999; and Eugene Arthurs, 1999 to 2018.